Led by founders Tim Jahnigen and Lisa Tarver, the One World Play Project team is made up of passionate, driven and fun-loving individuals dedicated to bringing the transformative power of play to youth worldwide. With combined expertise from the social impact, consumer, entertainment, sports, technology and product design fields, we collaborate with partners, individuals and communities to foster play and sustain our greatest natural resource—the heroic potential of children everywhere. In 2010, One World Futbol Project was founded as a B Corporation. With the help of our Founding Sponsor Chevrolet, our global network of giving partners and our Buy One, Give One customers, we have distributed over 1 million balls to communities around the world. The One World Futbol was just the beginning. The impact of our efforts showed us that the need for play was something much greater. We discovered play’s critical role in the lives of people all over the world—and where play can take us all tomorrow. Play is in our DNA—a need as important as food, medicine and shelter. It’s an intrinsic part of our lives, regardless of geography or culture, and through play we become stronger individuals, build better communities and create a more positive future. Today, we are changing the game and our name by expanding our mission, products and services to enable play in all its forms—anywhere and everywhere. Children worldwide will do almost anything to play, even when there’s nothing to play with or a designated place to play. So we developed a ball that would work anywhere in the world—tough enough for the roughest landscapes and durable enough to last for years of play. 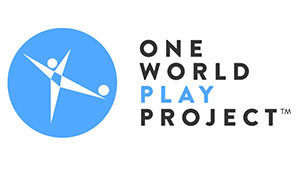 We are now One World Play Project. 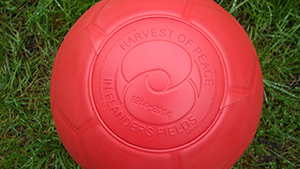 Join us and together, we will turn the world into a field of play. For every ball you buy, we donate a second ball to organizations working with youth in disadvantaged communities worldwide. With your help, we’re bringing the transformative power of play to millions of children who need it most.